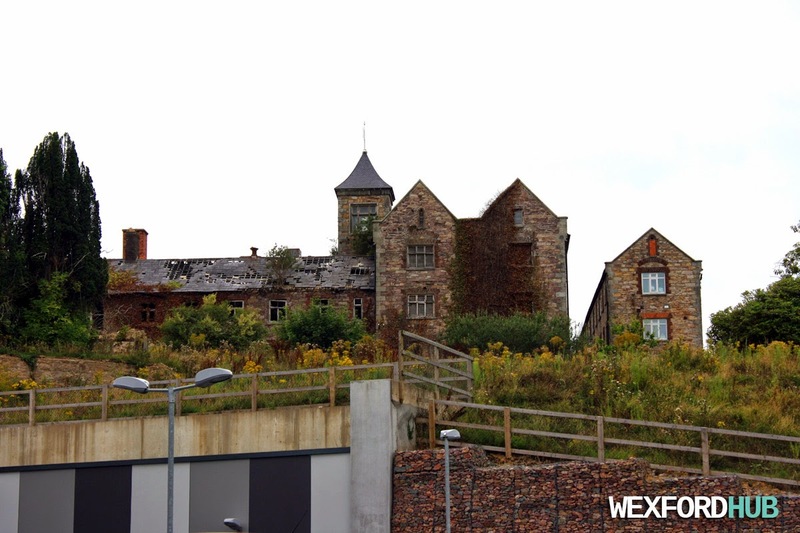 Wexford's Workhouse was opened in 1845. 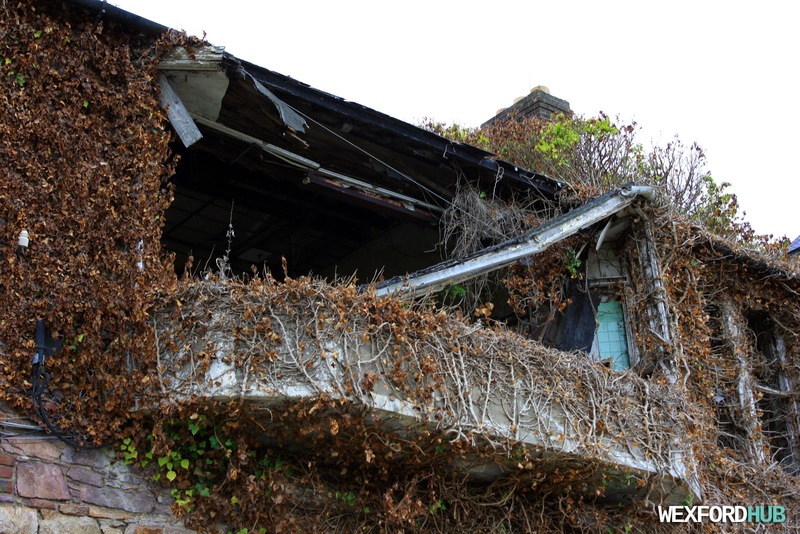 It was a place where the poor and destitute could go to live. 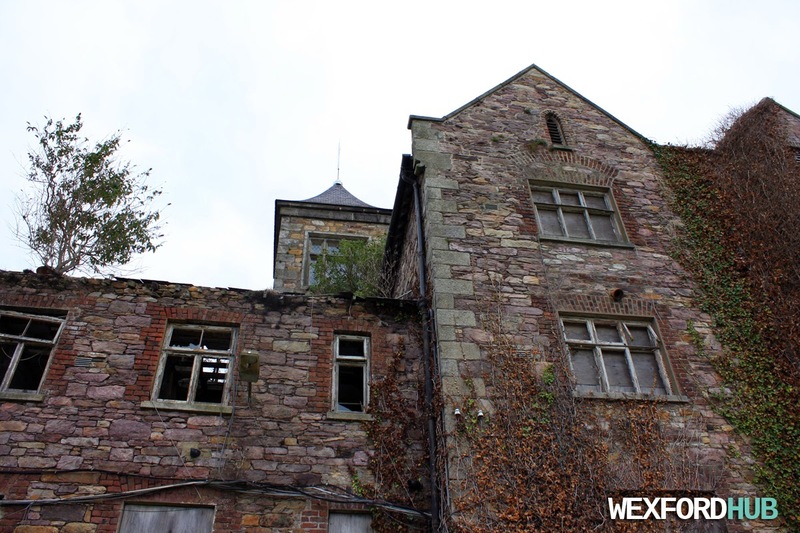 In the 1920s, the building was converted into a hospital. 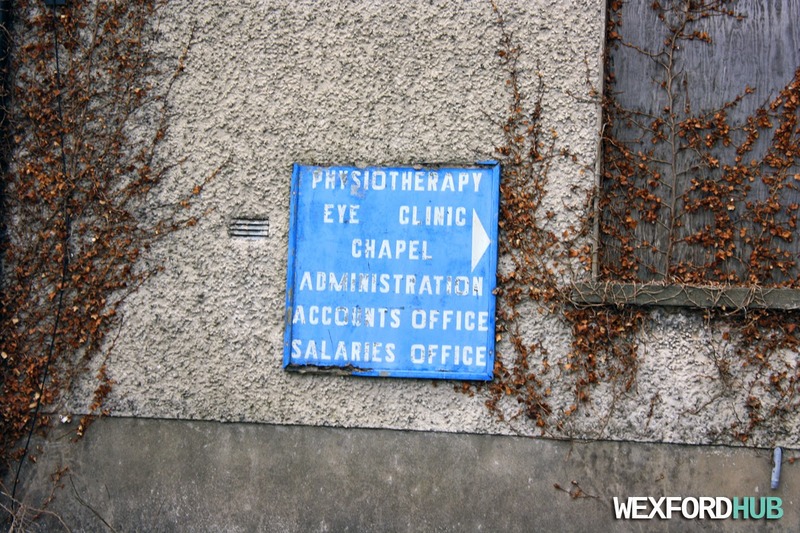 In 1992, this particular part of the hospital was closed down. 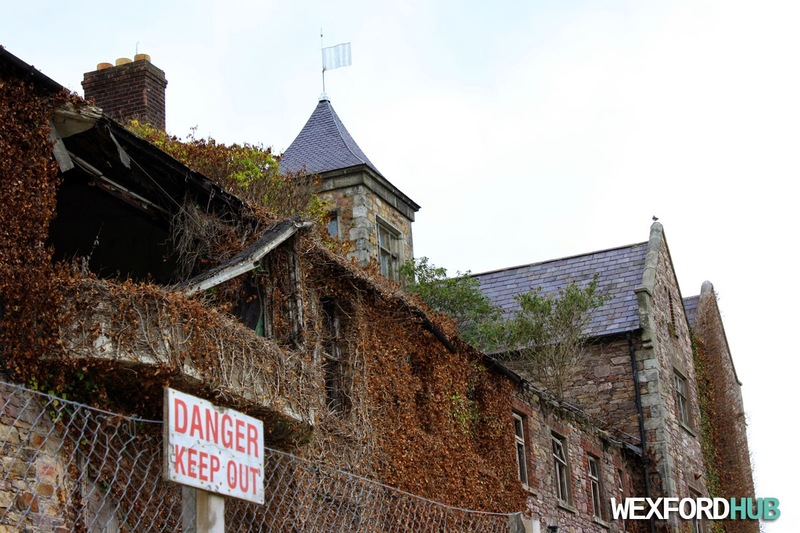 This abandoned workhouse sits on top of a hill in Wexford Town. As you can see, entry is not permitted. 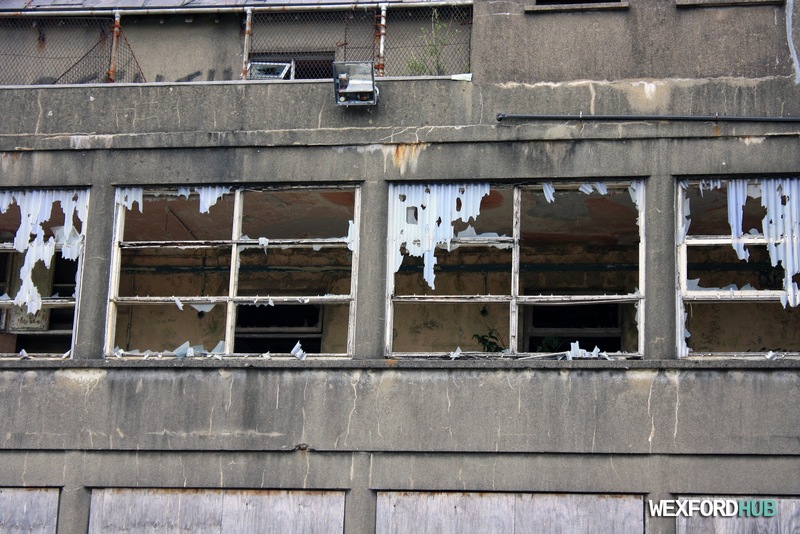 Because of its derelict condition, the building has been boarded up. 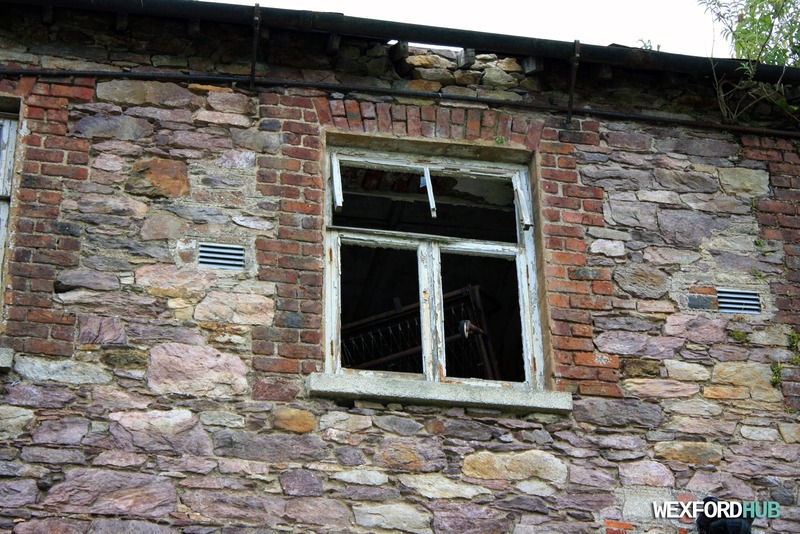 In the picture above, you can see a trolley / old hospital bed, which has been slowly rusting away. 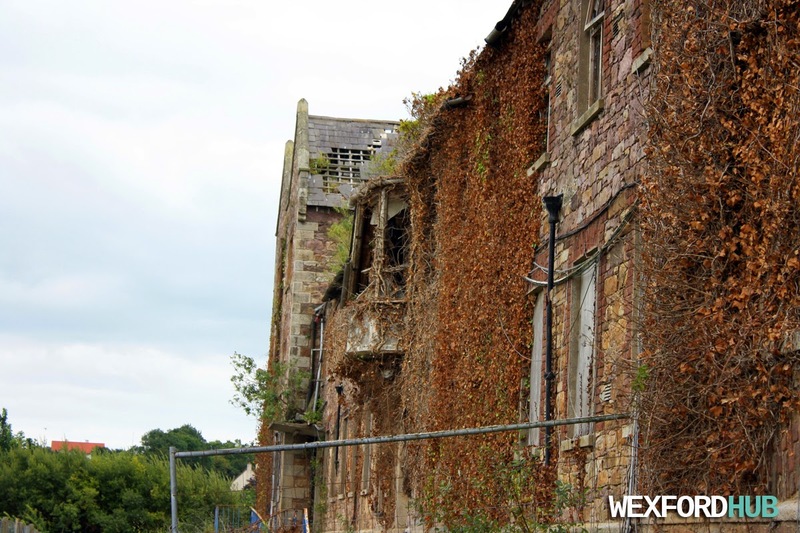 This part of the building was added during its usage as a hospital. The front door, which has been boarded up. 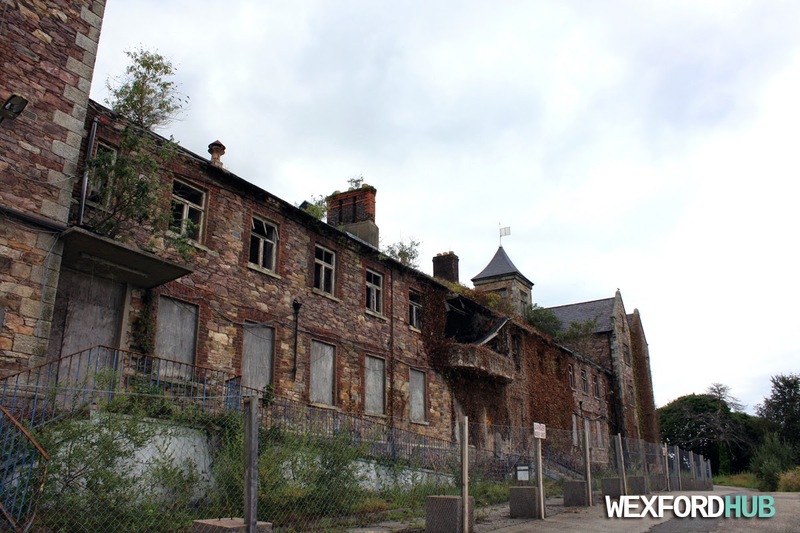 For more information on the background of this building, see: The History of Wexford Workhouse. 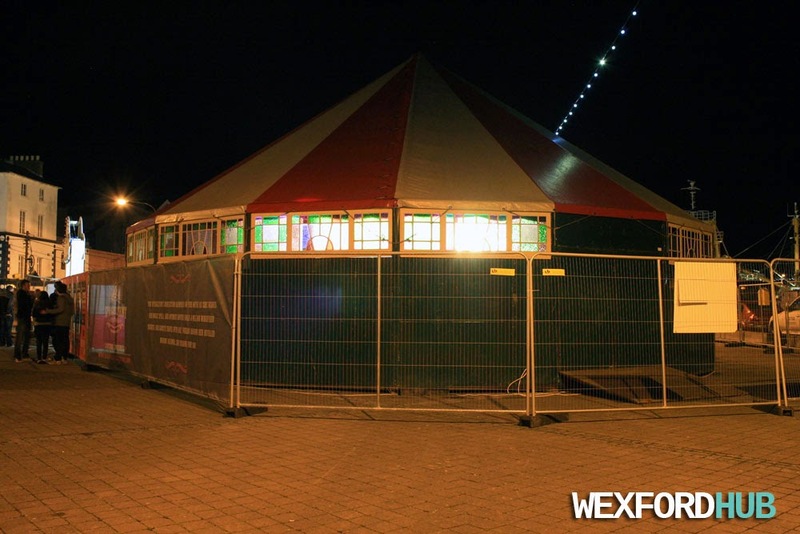 Some photographs of the "Spiegeltent", which was situated on Wexford Quay. 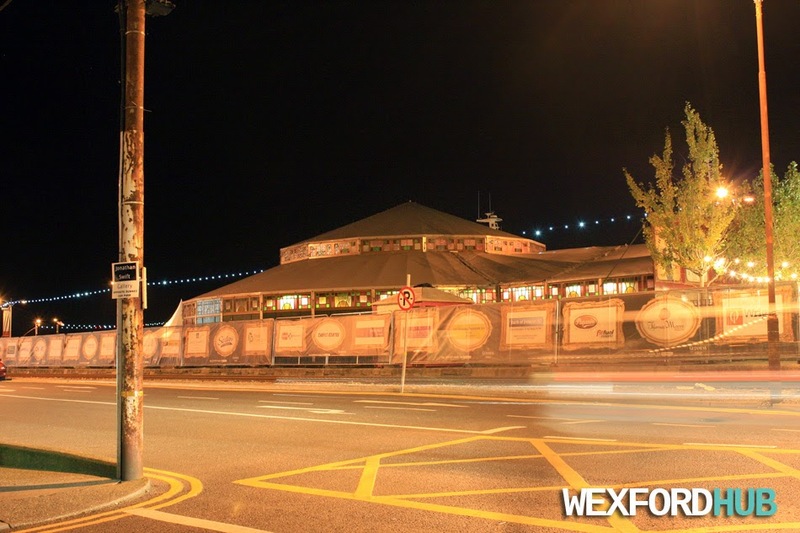 The Spiegeltent Festival runs alongside the Wexford Opera Festival. On this particular night (Friday, Oct 24th 2014), comedian Tommy Tiernan was doing a stand-up routine. 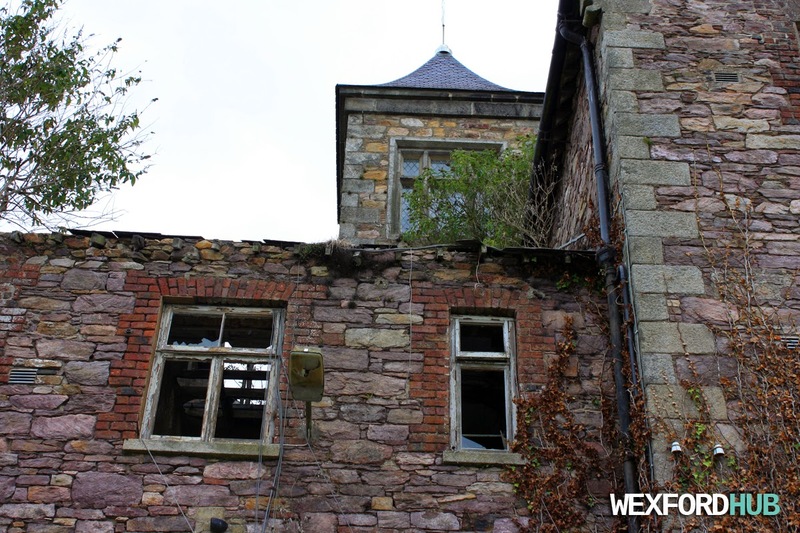 The photo above was taken from across the road, by the Bank of Ireland building. 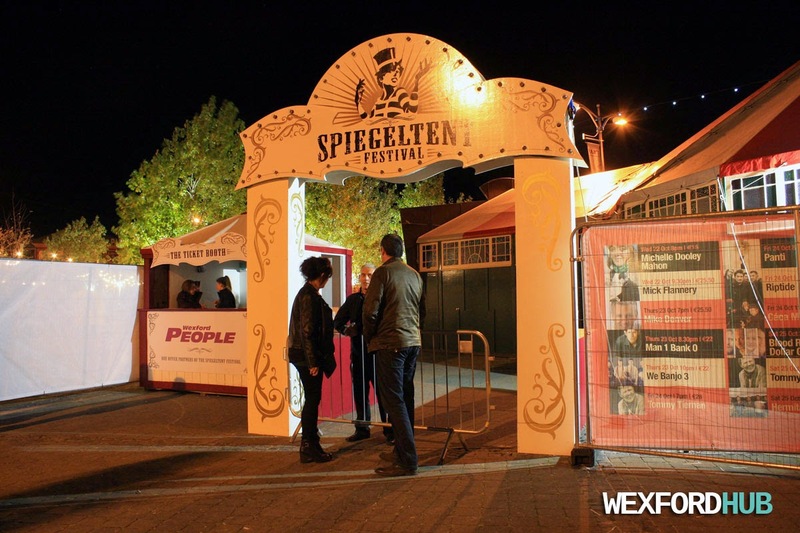 A photograph of the Spiegeltent entrance. A photograph of Fat Face, which is a unisex fashion outlet that is located on Wexford's North Main Street / Bullring. In the recent past, the building was occupied by First Active. 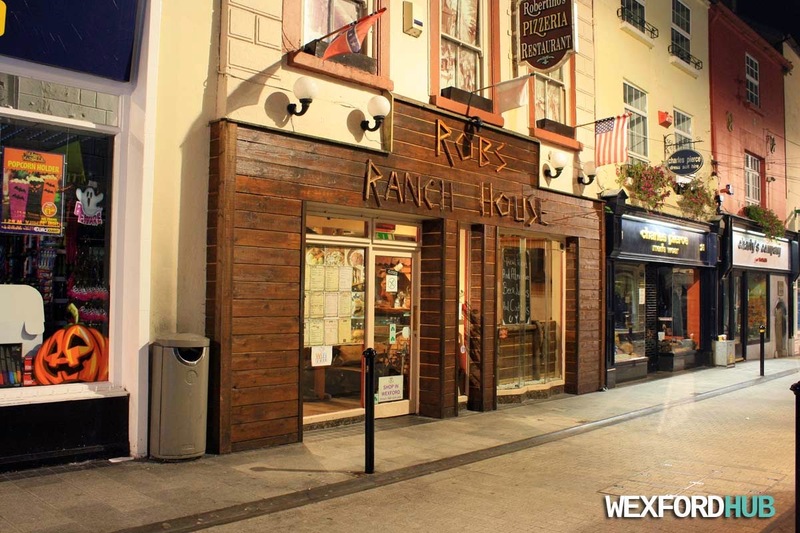 A photograph of Rob's Ranch House, which is situated on Wexford's South Main Street. In the past, this was Robertino's Pizzeria until it was re-branded by the owners. Although they have added a number of American-styled foods to the menu, they still do pastas and pizzas as well. On the right, you can see Charles Pierce. 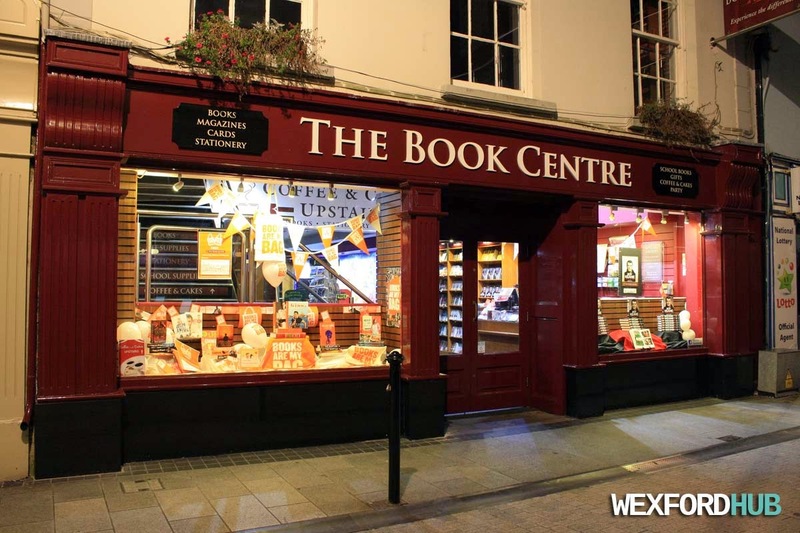 A photograph of The Book Centre, which is situated on South Main Street in Wexford Town. This is the biggest book store in the town (offering the most choice). Taken at night time in October of 2014. On the right, you can see O'Neills Newsagents. 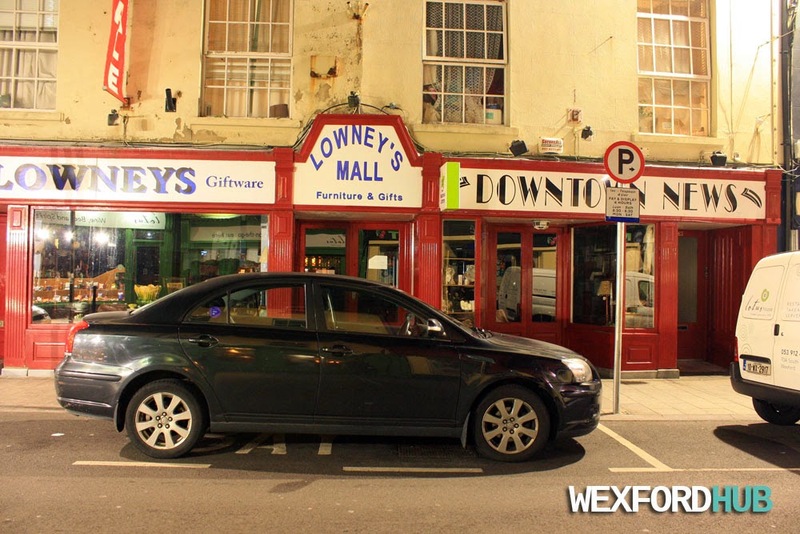 A picture of Lowney's Mall, which is situated on Wexford's South Main Street. In the past, this mall was home to Crazy Prices, Tesco, Readers Paradise and a number of different retail outlets. Downtown News, which is situated on the right, has recently closed its doors after years of trading. 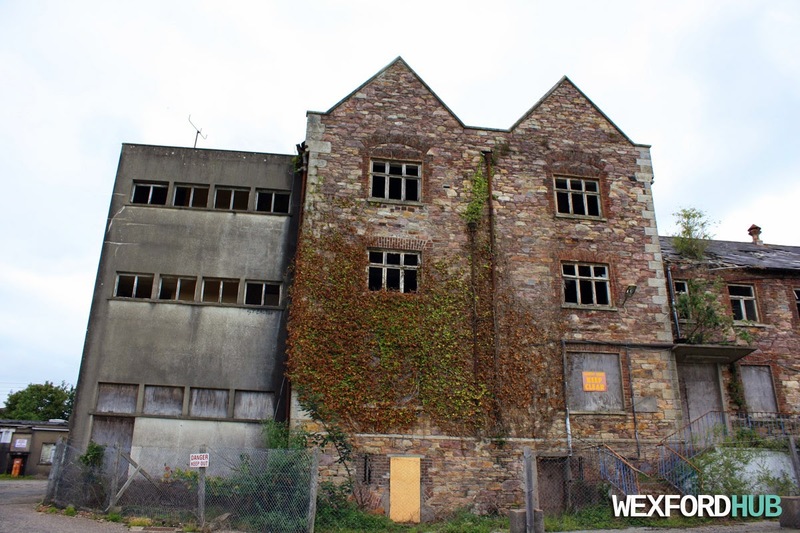 The back of the building is still used as a car park. 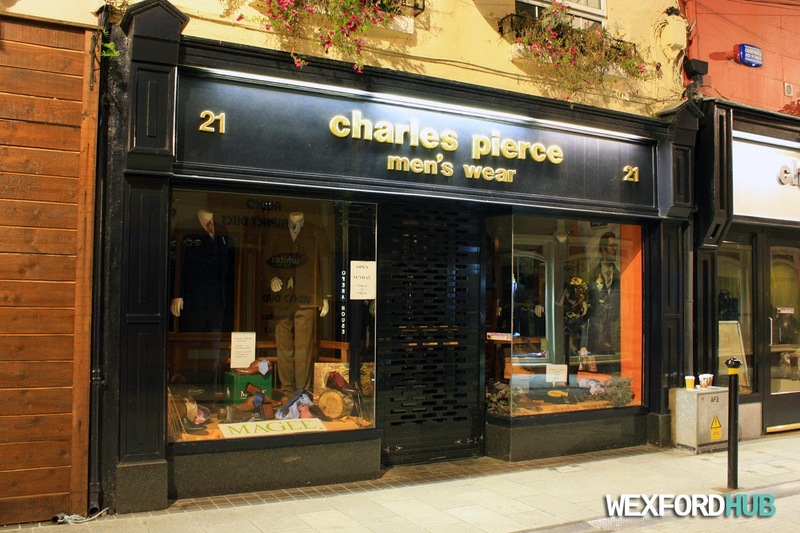 A photograph of Charles Pierce menswear at night. This store sells suits, shirts, casual wear and mens shoes. 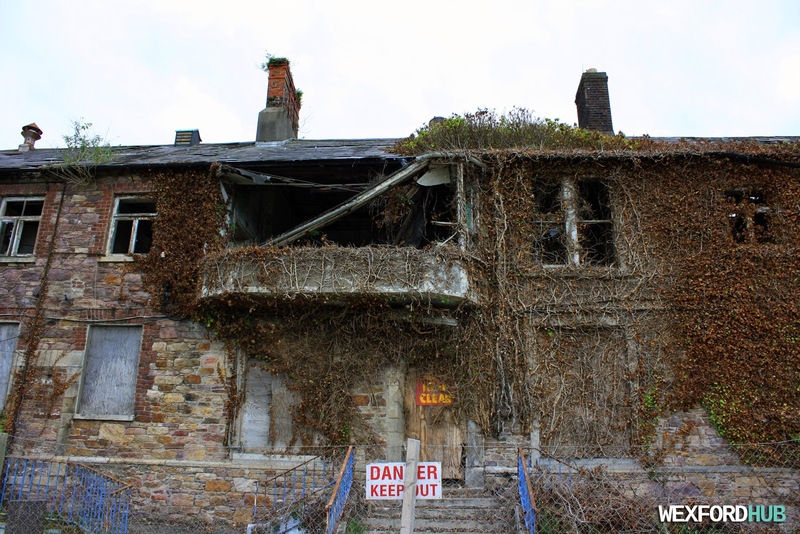 In the past, this premises was home to a fish and chip shop called Fishers. Photograph taken in October of 2014. Charles Pierce is located on Wexford's South Main Street. 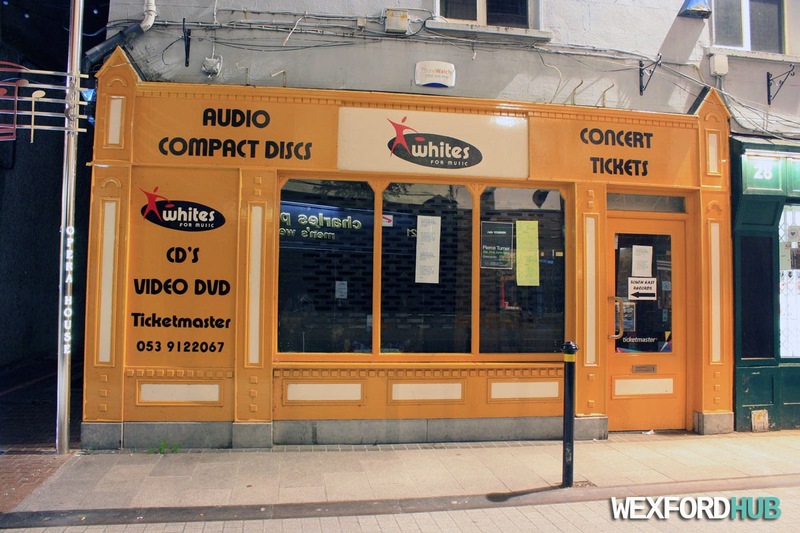 A photograph of the recently-closed Whites For Music store, which is situated on Wexford's South Main Street. The was the last general music store in the town. It was also the only outlet that sold Ticketmaster tickets. Nowadays, the premises is occupied by a salon called Nik Ara beauty salon. 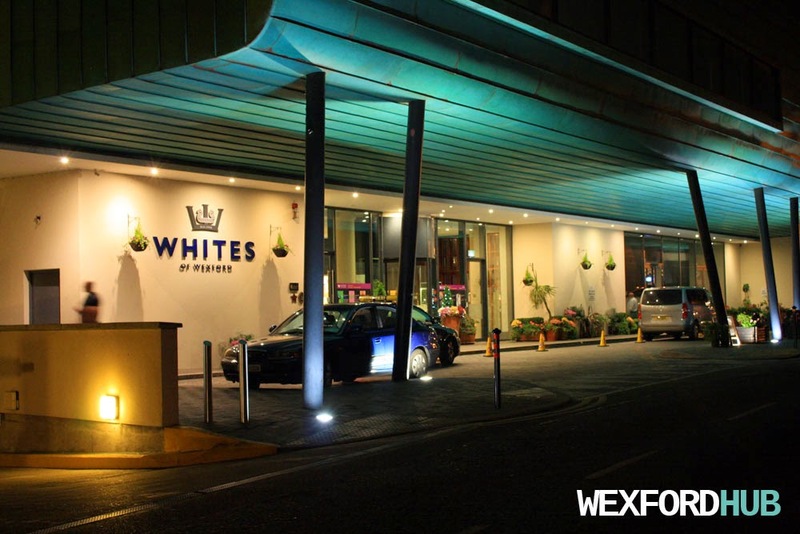 The entrance to Whites Hotel in Wexford (update: renamed to Clayton Whites Hotel on the 15th Oct 2015). 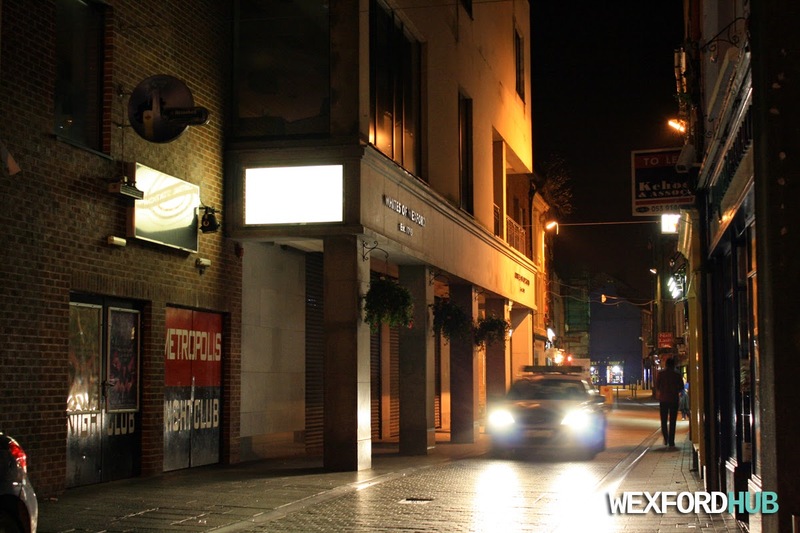 This was taken on Abbey Street in October of 2014. 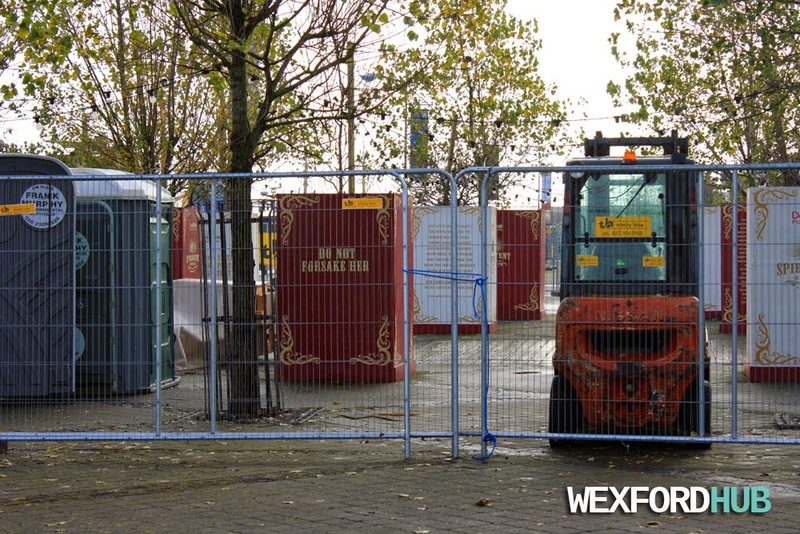 The Wexford Opera Festival had just started and the town was bustling with activity. This particular shot was taken on North Main Street. The front of Whites Hotel houses a restaurant called Central Station. In the past, it was home to a cafe bar called La Speranza. 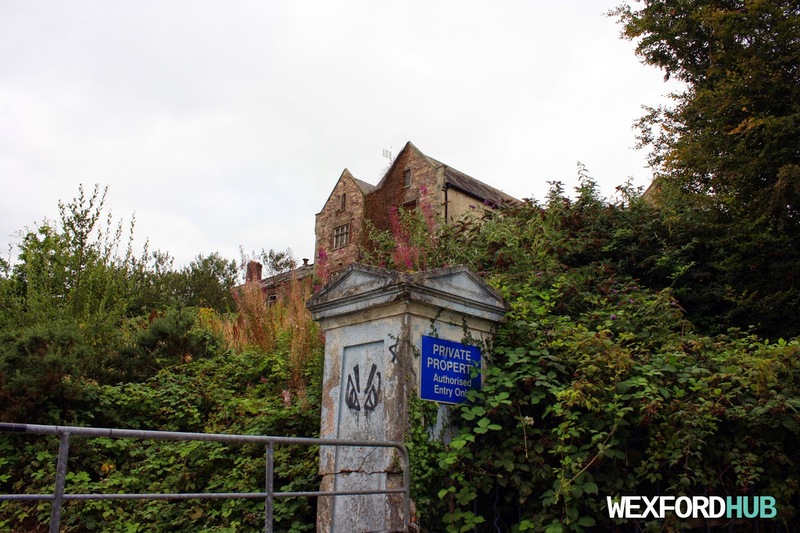 This was taken at the entrance / set-down area on Abbey Street. On the right, you can see the top of Rowe Street Church. 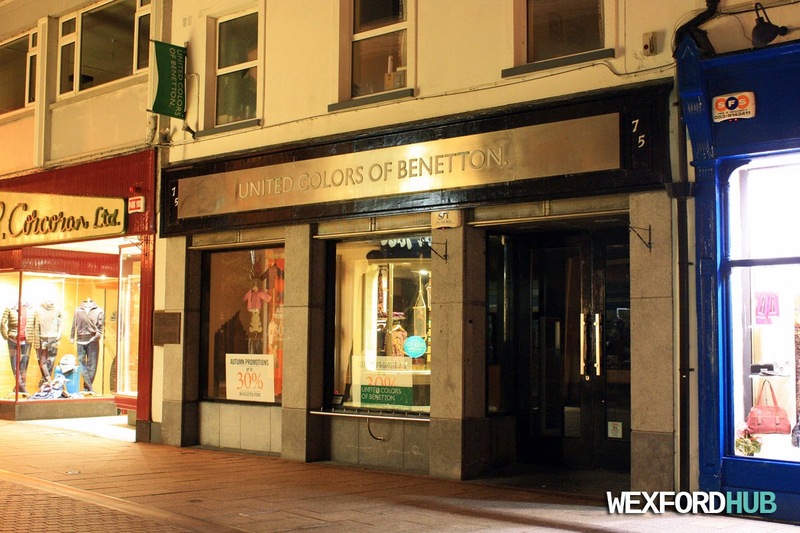 A photograph of the United Colors of Benetton store in Wexford Town. Located on North Main Street, just down from The Bullring. The United Colors of Benetton is a global fashion brand that is based in Italy. 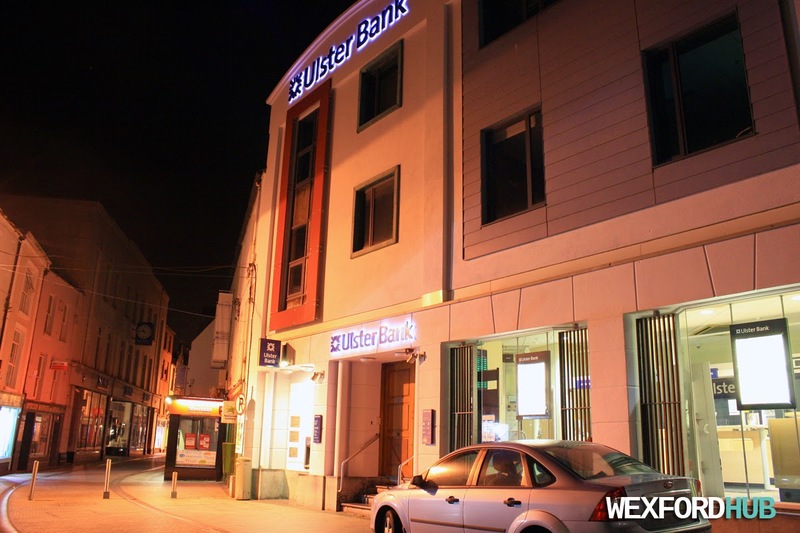 A photograph of Ulster Bank in Wexford Town. The bank is located on North Main Street, across from Charlotte Street. This was taken in October of 2014. 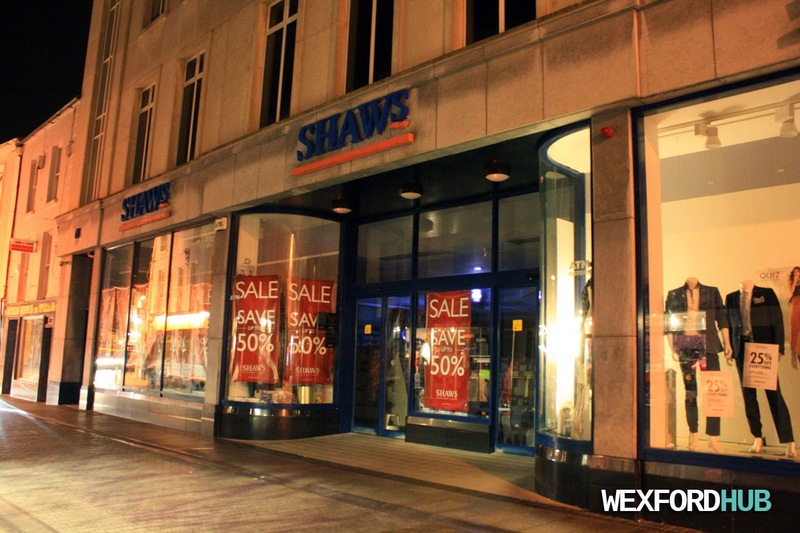 A photograph of Shaws, Wexford, which can be found on North Main Street, in the town centre. The department store is made up of various different retail chains, such as TopShop. 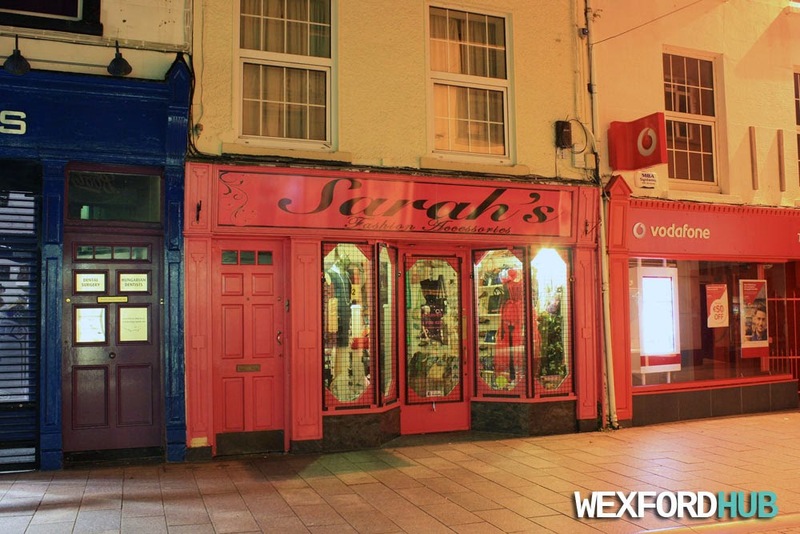 A photograph of Sarah's Fashion Accessories, which is situated on Wexford's North Main Street, just down from The Bullring. To the left, you can see Empress. To the right, you can make out the Vodafone shop. 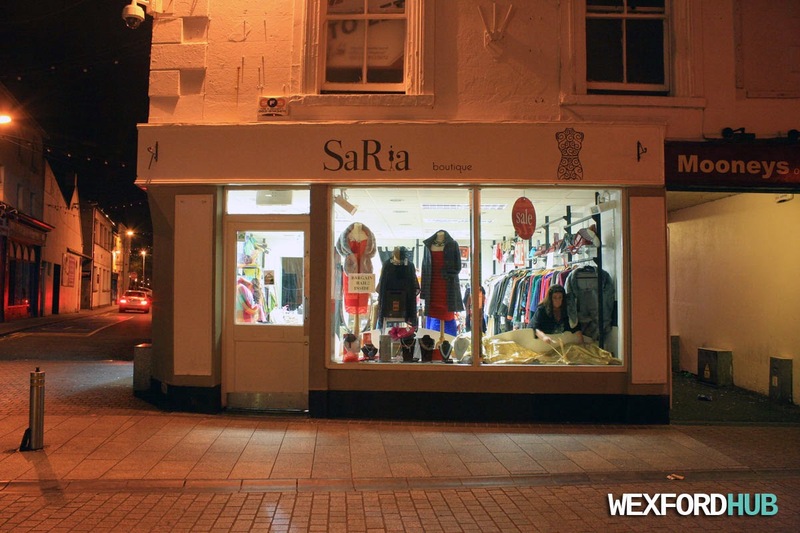 A photograph of Sara Boutique, which is located at the intersection between Wexford's North Main Street and Charlotte Street. In the past, this premises was used by Office One. 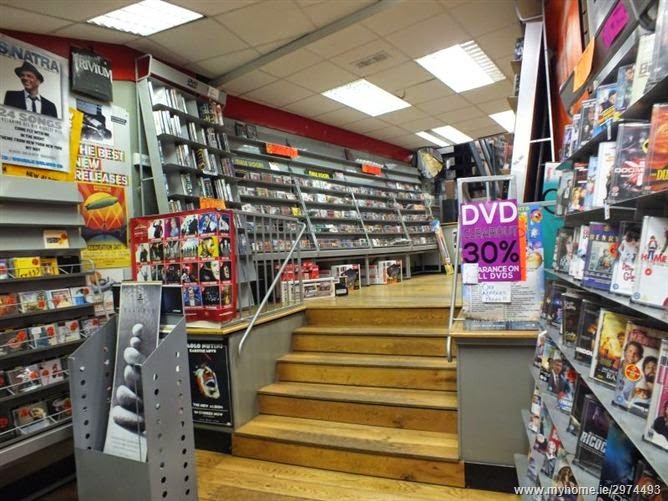 Upstairs, it had an Internet cafe, which was run by Odin Graphic Design. More recently, it was home to a shop that sold various types of chocolate. To the right, you can see an alleyway with Mooneys written above it. 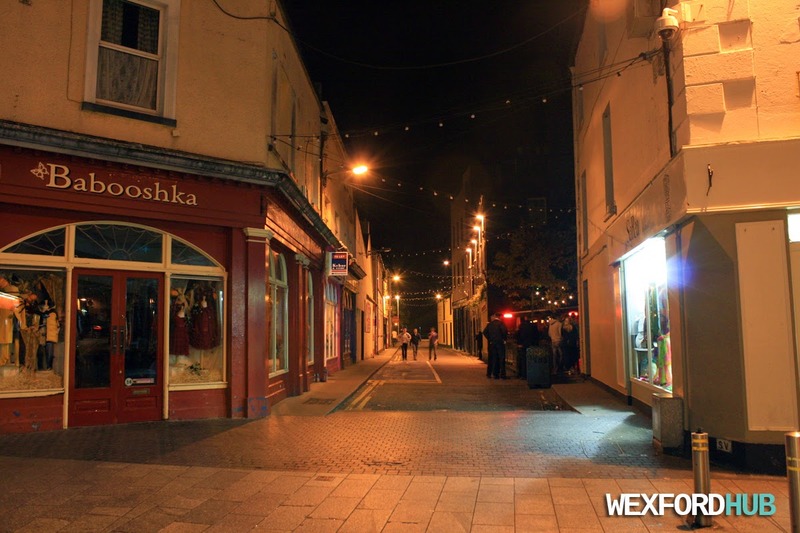 This alleyway runs to Wexford's quay front. 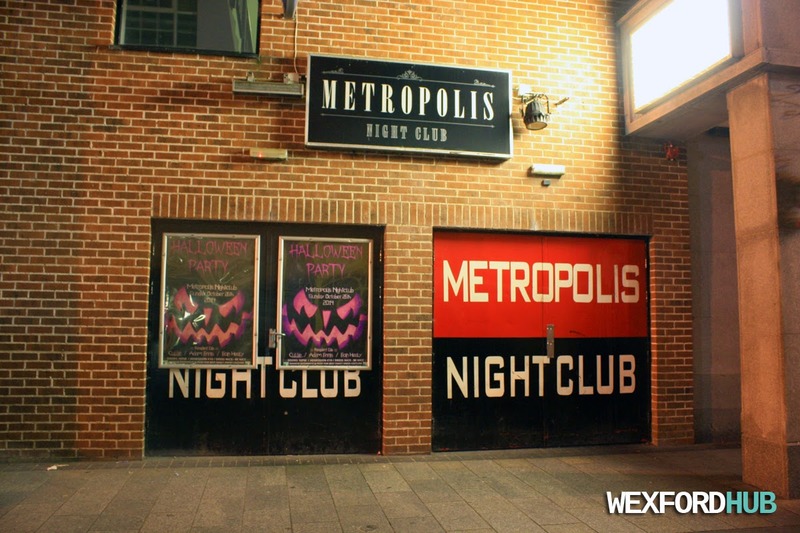 A photograph of Metropolis Nightclub, which was situated on Wexford's North Main Street. 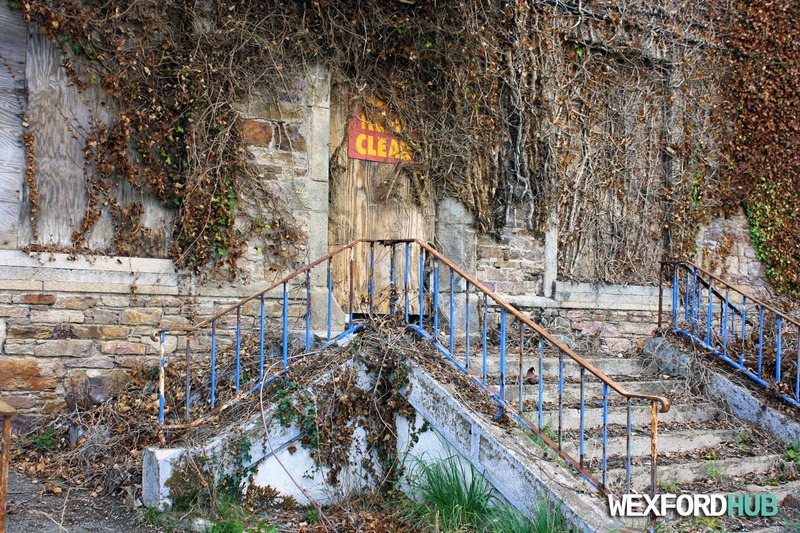 In the past, this spot was home to The Colony Nightclub and The Music Factory. Unfortunately, all of these were forced to close, as competition from The Stores (located nearby) and the onset of a recession made it difficult to compete. 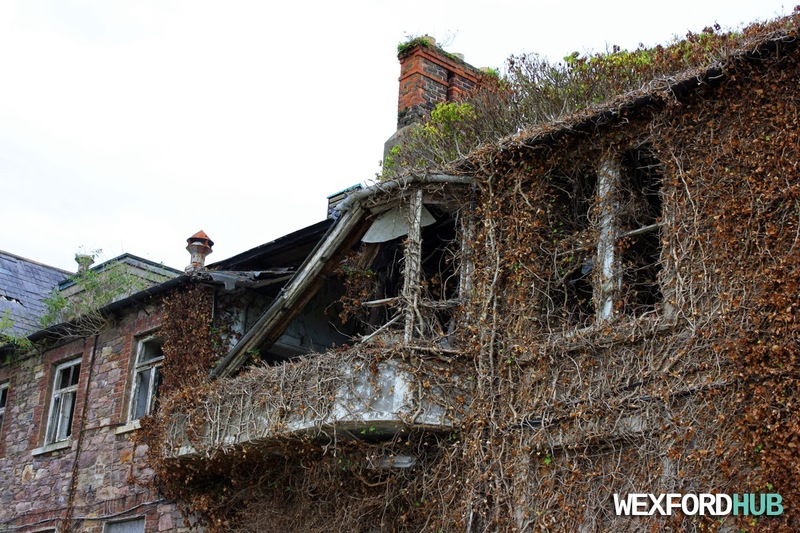 When The Colony first opened in Wexford, it was an extremely popular spot. However, dwindling attendances and the onset of a recession eventually led to its closure. 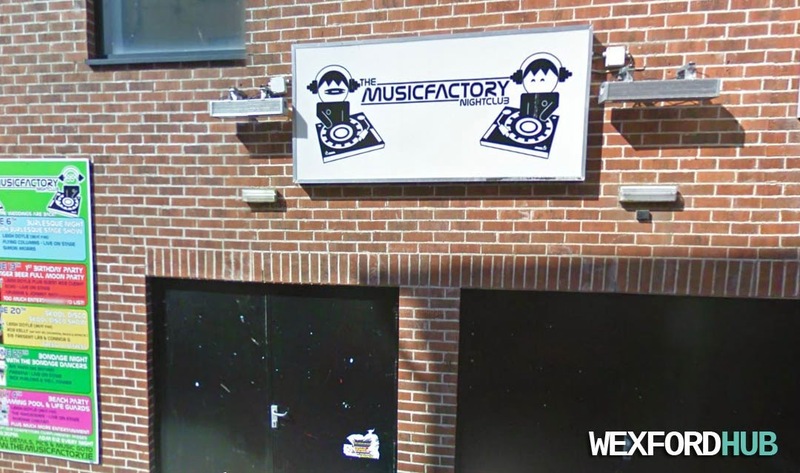 The Music Factory shut its doors at the start of 2010. 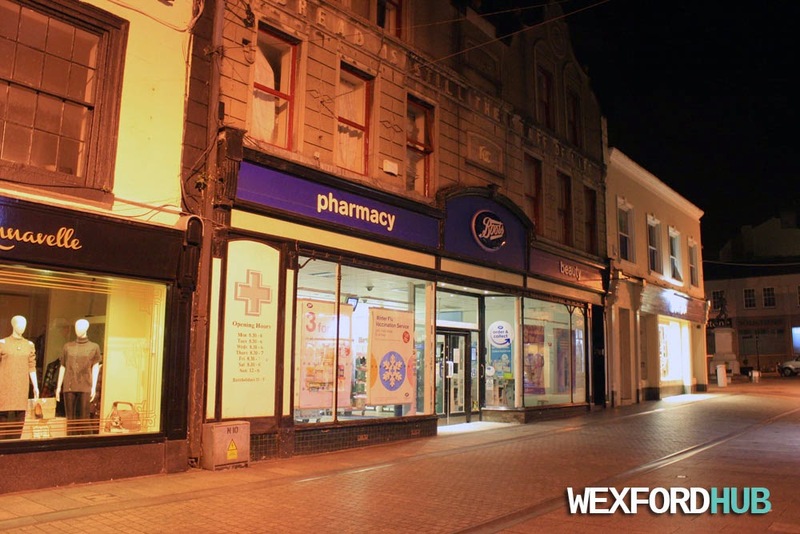 A picture of Boots Pharmacy on North Main Street, Wexford. The Bullring can be seen on your right. 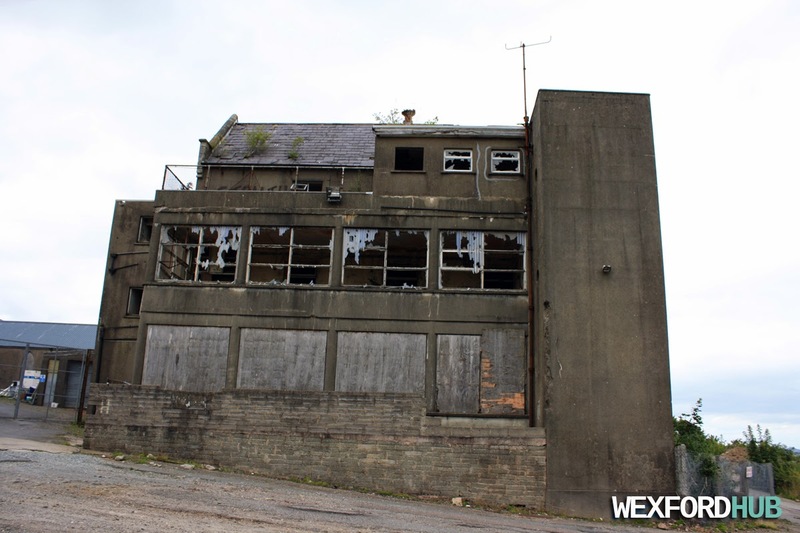 In the past, this building was home to Greenacres, which moved to the Selskar area back in 2005. 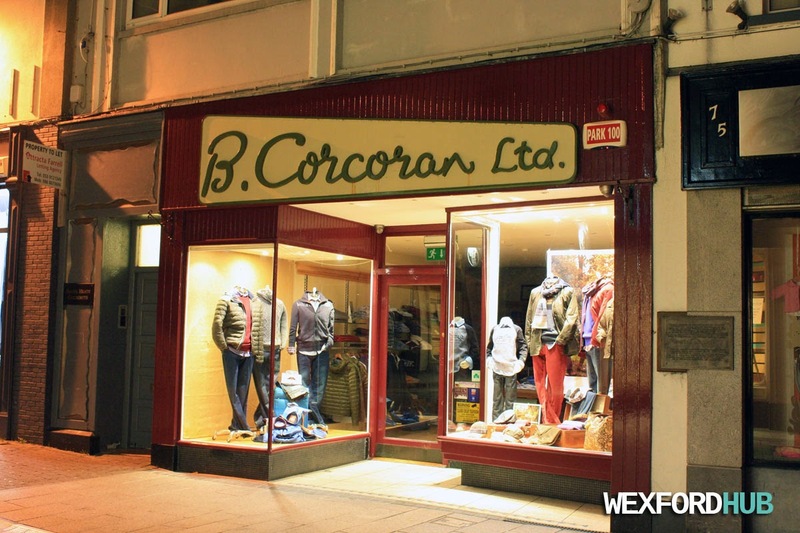 A picture of B.Corcoran Ltd, which is located on Wexford's North Main Street. Taken in October of 2014. B.Corcoran Ltd specialises in menswear and formal hire. 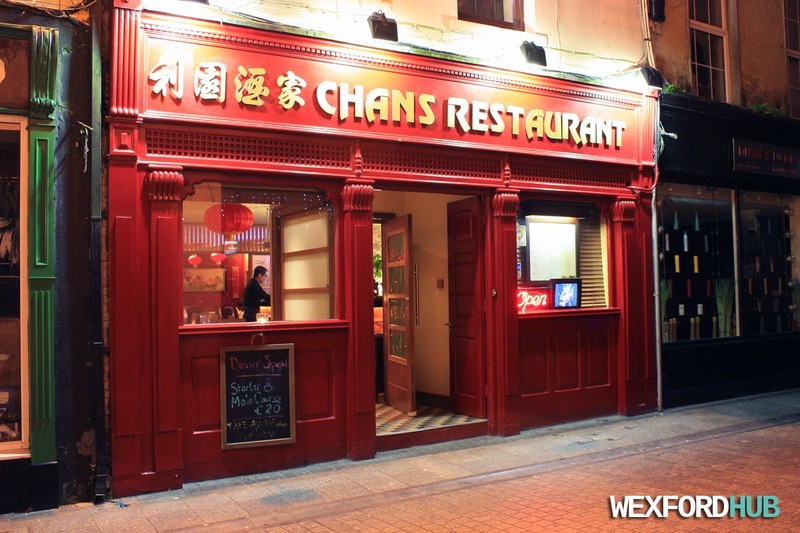 A picture of Chans Restaurant (Chinese food), which is situated on Wexford's North Main Street. 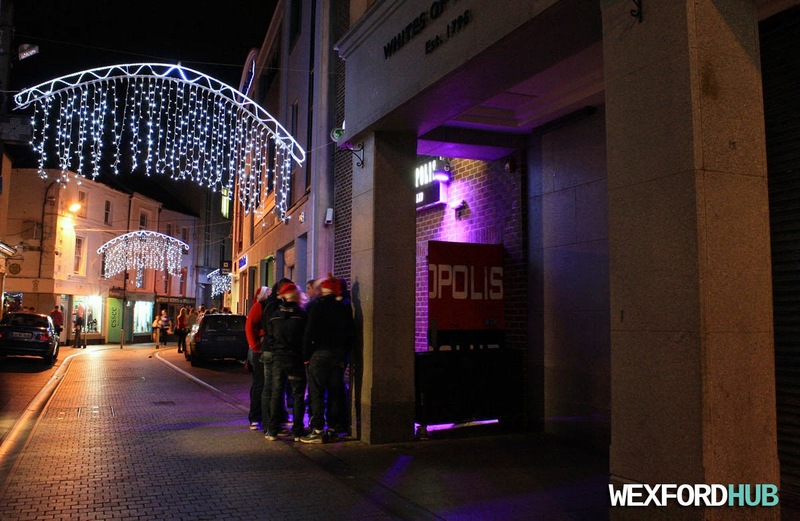 A picture of J Murphy's in Wexford. 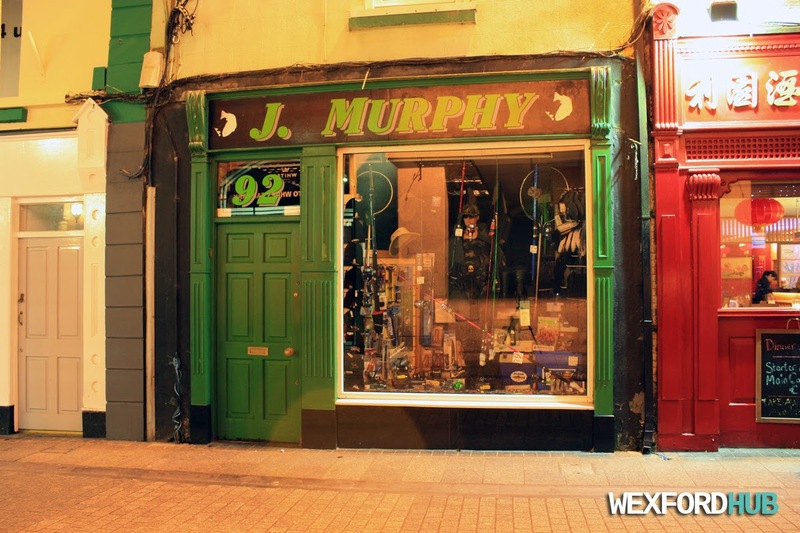 J Murphy's sells fishing rods and accessories. A photograph of Empress, taken at night. 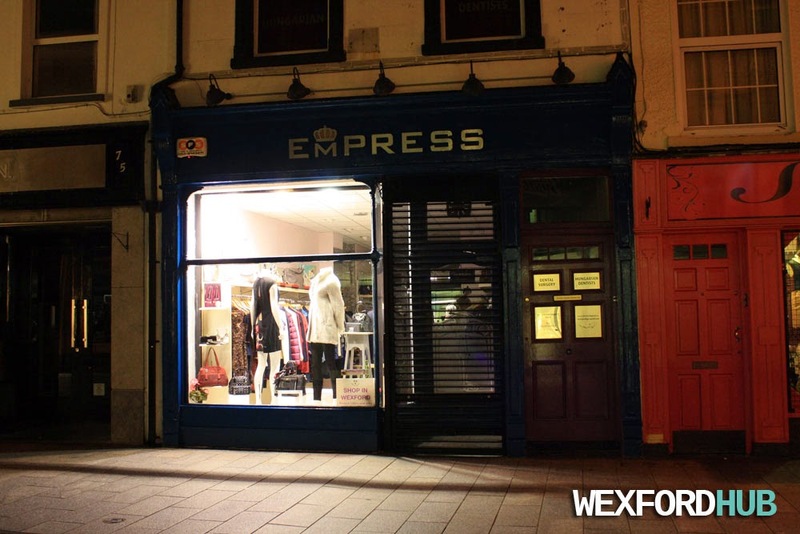 Empress is a fashion boutique that is located on Wexford's North Main Street. On the right, you can make out Sarah's Fashion Accessories. 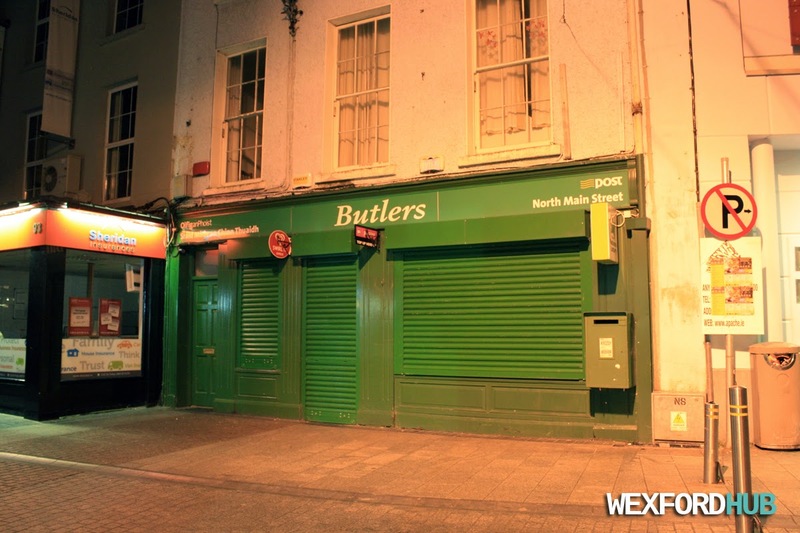 A picture of Butlers newsagents, Wexford, which also happens to be a post office. This shop used to be situated in Redmond Square before it moved to North Main Street. To the left, you can see Sheridan Insurances. 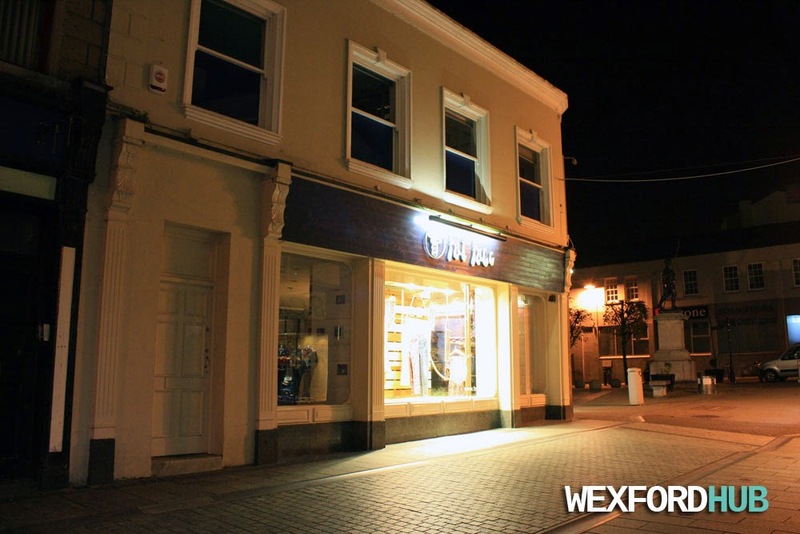 A picture of Charlotte Street in Wexford. Babooshka, which can be seen on the left, is a children's and teen's boutique. 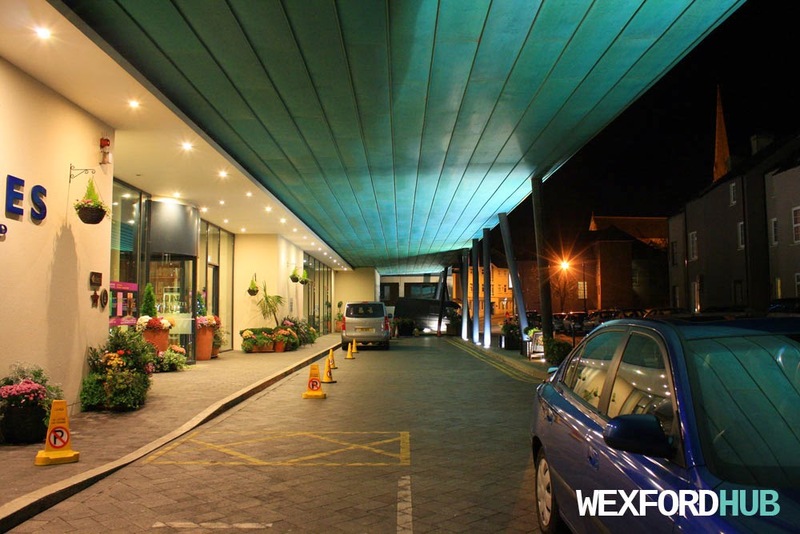 On the right, you can see the entrance to The Centenary Stores, which is the most popular nightclub in Wexford. 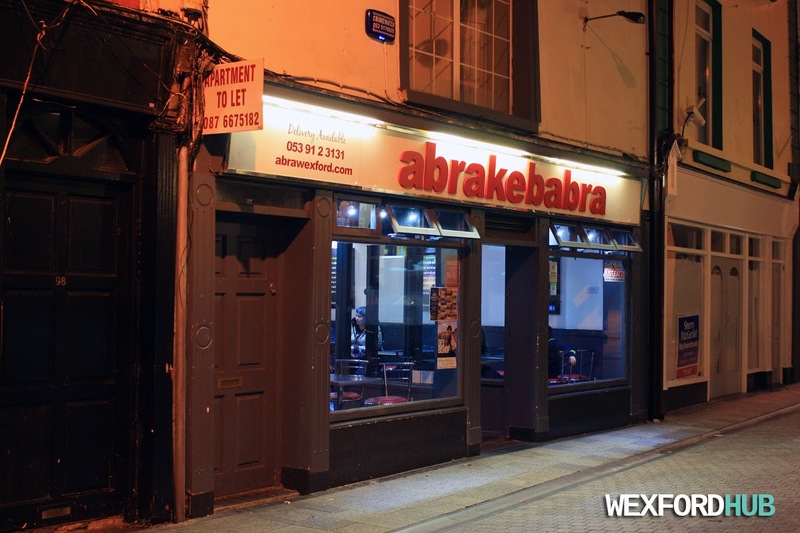 A picture of Abrakebabra in Wexford. Located on Wexford's North Main Street. Abrakebabra is an Irish fast-food franchise that is well-known for its tasty kebabs! 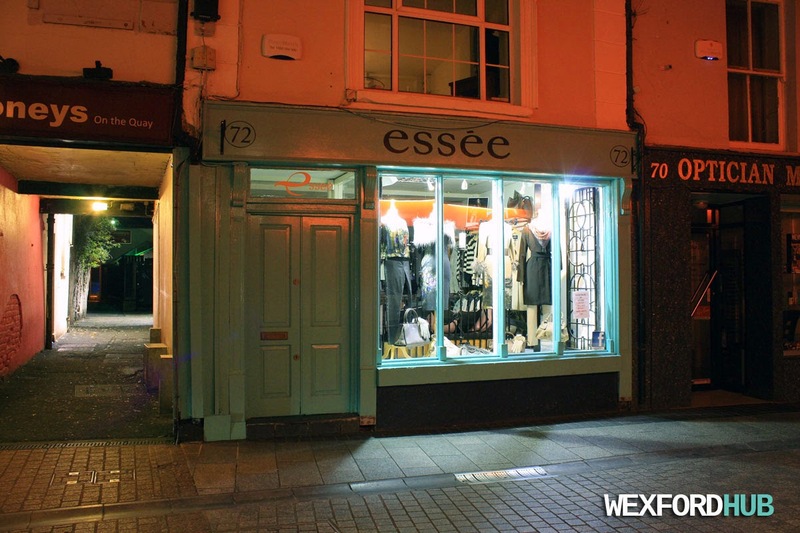 A photo of Essee Boutique, which is situated on Wexford's North Main Street. Essee is a women's clothing store. On the left, you can see Roman Lane, which leads to Mooneys On The Quay. To the right, you can see Murphy's Opticians.